In preparation for the Kentucky Derby, I mixed up a delicious, fresh interpretation on the traditional Julep. Heat the sugar, water, and lemon zest and juice in a saucepan over medium-high heat, stirring until the sugar has dissolved. Remove from the heat and stir in the mint leaves. Let mint steep for 15 minutes, then strain into a bottle, discarding the solids. Let the syrup cool, then stir in lemon juice. Refrigerate. Lightly muddle the mint leaves and fresh peach. Add the Lemon-Mint simple syrup, peach schnapps and bourbon and top with ice, stir until cold. 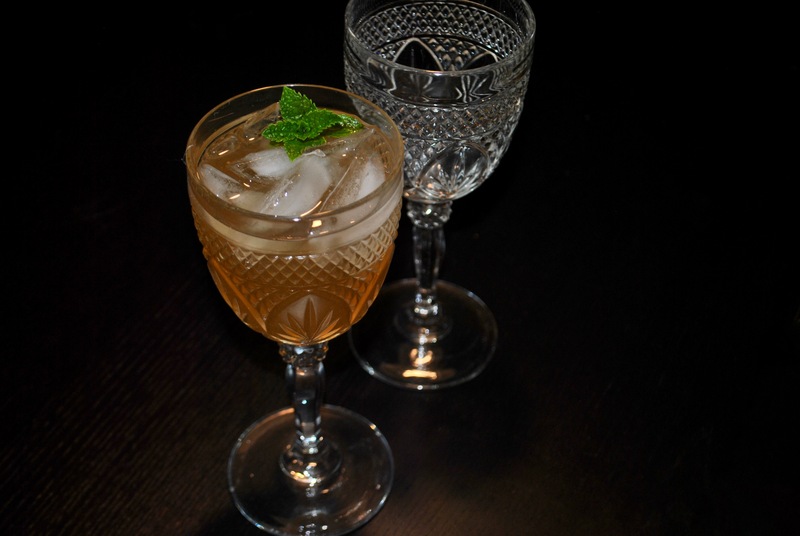 Fill a glass with more ice, top with the Peach Mint Julep. Garnish with a fresh mint sprig.